How far would you go to make it to the top of your sport? Charlie Silver was ranked 23rd before an injury at Wimbledon sidelined her. Is she willing to put her entire life in the hands of a famous coach, in the hopes of upping her world standings? It wasn't every day a middle-aged woman wearing a neat bun and a purple polyester suit directed you to lift your skirt. The woman's voice was clipped. British proper. All business. Circumstances: After recovering from an injury, Charlie Silver is determined to hit the women's single tennis circuit with all she's got and with the help of her new coach, Todd, known for his tough stance on training. Will diets, makeovers, high-profile PR, and court time take Charlie to the top of competitive tennis or to the depths of personal despair? Why I want to read it: I like to watch tennis, and between this month's Wimbledon tournament and the up-coming summer Olympics, I'm in the mood to pick up a novel set in the tennis world. The Singles Game looks like a fun way to learn more about the sport. Reviewers have commented on the good pacing, believable characters, fun romance, and interesting details about tennis. I don't think I could take any more tennis in my life than there already is, thanks to Jim! But I do like reading about sports, even if it happens that I don't play anything. I've been eyeing this one too...as I also love watching tennis! Although I didn't watch much of Wimbledon this year b/c it was on during the US Olympic Swimming Trials, which I was glued to! I just received a hardcopy of this one in my subscription package. I'm hoping it works for me because I've seen some mixed reviews on it. It still appeals to me because I played tennis, and the timing is perfect with the Olympics around the corner. This sounds interesting. I have always been interested in what it took to become an elite athlete. My teaser this week comes from cozy mystery The Bluebonnet Betrayal by Marty Wingate. Happy reading! This sounds good even though tennis is a sport I won't be playing anytime soon. A look behind the scenes sounds interesting - especially with the Olympics coming up. The passion and dedication that drive competitive athletes pitted against the defeat that sometimes can't be avoided should create some great conflict. This novel could be really good. I enjoy watching a good tennis match, but admit I also need to learn more about the game! This book like a good way. This book disappeared off my stack. I think my daughter (athlete that she is) grabbed it up. To move up in world standing lifting a skirt is nothing. Let the coach check out those legs. I love watching tennis, especially Wimbledon, so I'd keep reading! Definitely keep reading. I have this one and want to start it soon. Happy Reading! I think I'd like to read this from the perspective of the coach trying to reshape an athlete. Might be interesting. I'm not sure about this one for me but, hope others enjoy it. I'm considering this one. It looks like a perfect summer read. 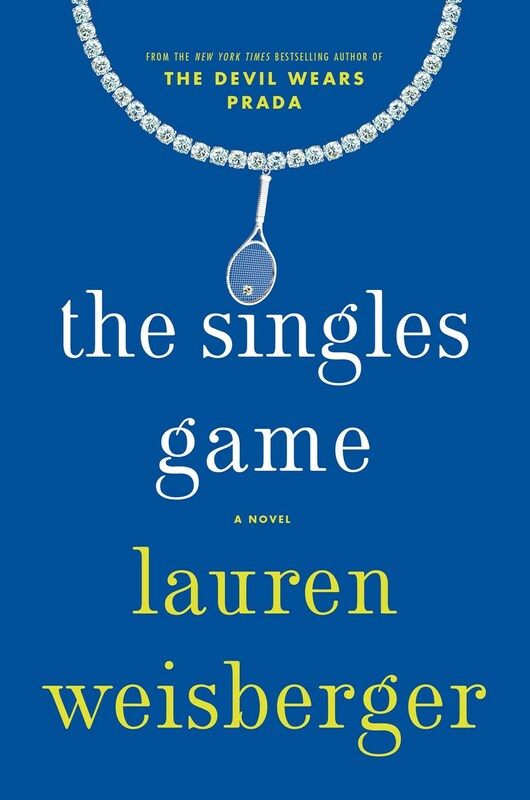 Hmm, not a big tennis fan, but I do tend to like Lauren Weisberger's books. That's quite an opening though. Sadly I'm not a tennis fan but I do like the opening... sounds like it's a good one for a summer read. i cant think of a sport i like watching .. but i am curious about this novel ... thanks! Tennis is one of the few sports I like, so this sounds interesting to me. I enjoy playing tennis, although I am terrible at it and it's been years since I last had a chance to play. :-) This sounds like a good read. Perfect for summer.